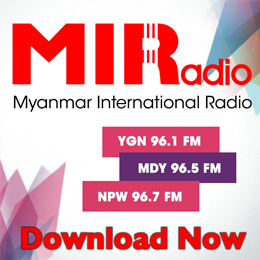 President U Win Myint recently mentioned in his speech that during 3 fiscal years, foreign direct investment to Myanmar reach USD 15.99 billion. Poor cargo ship condition and long storage scenario could be the main reason behind the Myanmar rice declared unfit at Ivory Coast, spokesperson from Myanmar Rice Federation said at Monday press meeting. Phandeeyar will be the sole implementer of the “AccelerateMM: Using Technology to Grow Inclusive Businesses in Myanmar. To welcome Myanmar New Year, MPT, Myanma Posts and Telecommunications, is to conduct the program of Nationwide Thingyan Charitable Donation. As part of the program, MPT donated fund for School for Disabled Children, Mayangone Township,Yangon on 5th April.